Chambers has significant expertise in the resolution of complex construction and engineering disputes using Construction Adjudication. Charles Edwards, the head of chambers is a first class Construction Barrister, a TECBAR accredited Adjudicator on TECBAR’s panel of Adjudicators and a graduate of the Centre of Construction Law at King’s College London and the University of Cambridge (Departments of Engineering and Architecture). Charles has significant expertise advising on complex construction and engineering disputes and all standard forms of construction contracts including JCT/NEC3/ACA PPC2000. Construction adjudication was introduced by Part II of the Housing Grants Construction and Regeneration Act 1996. This has since been amended by Local Democracy, Economic and Development Act 2009. 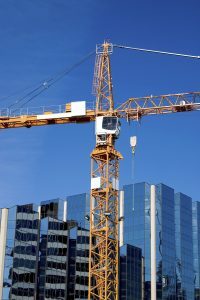 Construction Adjudication can be a contractual or statutory procedure and is considered to be informal, quick and less costly alternative to litigation. Construction Adjudication involves the parties adhering to a strict timetable which concludes with an Adjudicator’s decision which is binding on the parties unless the decision is challenged and overturned in court or arbitration, whereby the matter is finally determined. All parties have a statutory right to refer a construction dispute to adjudication.